President George H.W. 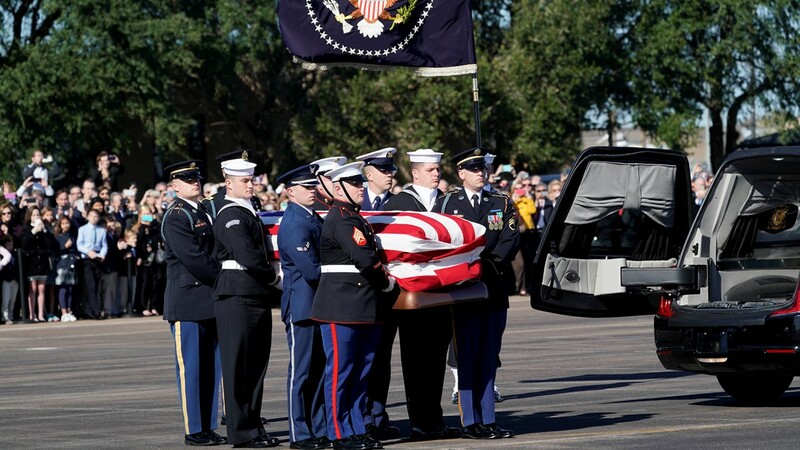 Bush will be 'lying in state' through Wednesday, then 'lying in repose' later this week. 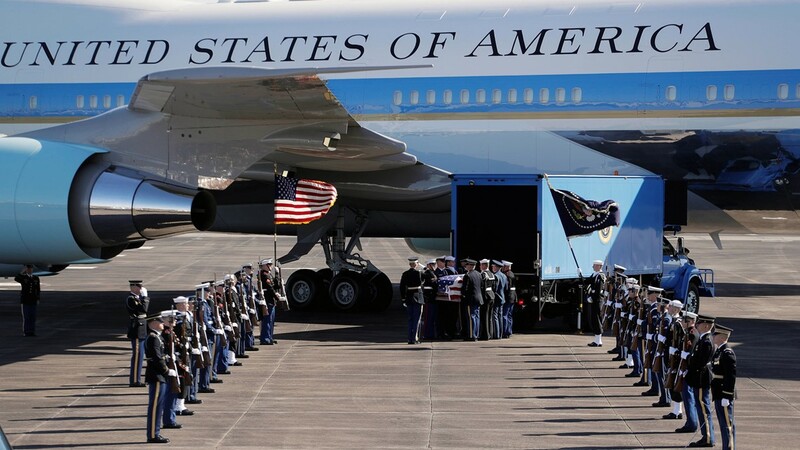 A brief departure ceremony for the remains of former President George H.W. 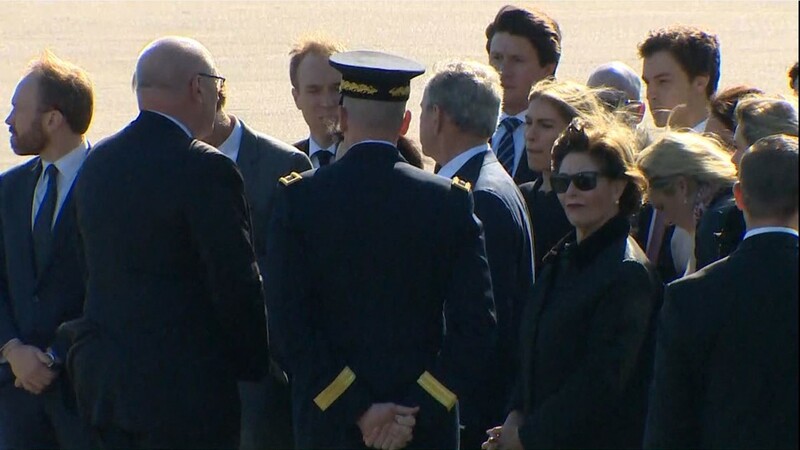 Bush drew family members to Ellington Field Monday morning. 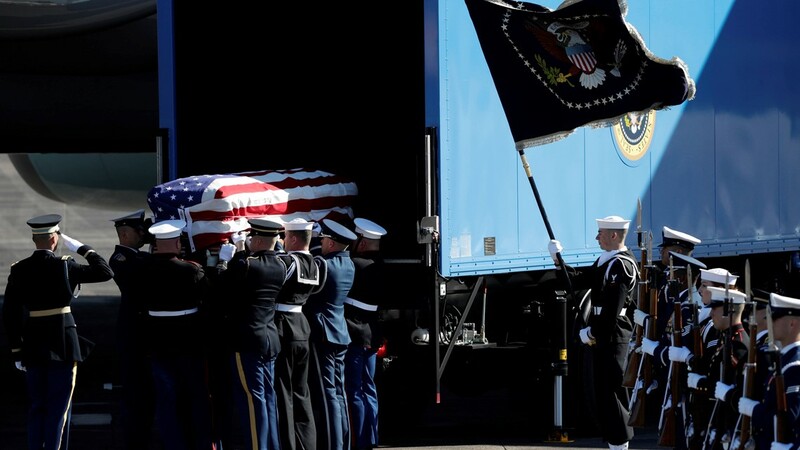 Another ceremony marks the body's arrival at the Capitol in Washington D.C. before the public can begin to pay respects starting at 6:30 p.m.
Bush will lie in state until Wednesday. 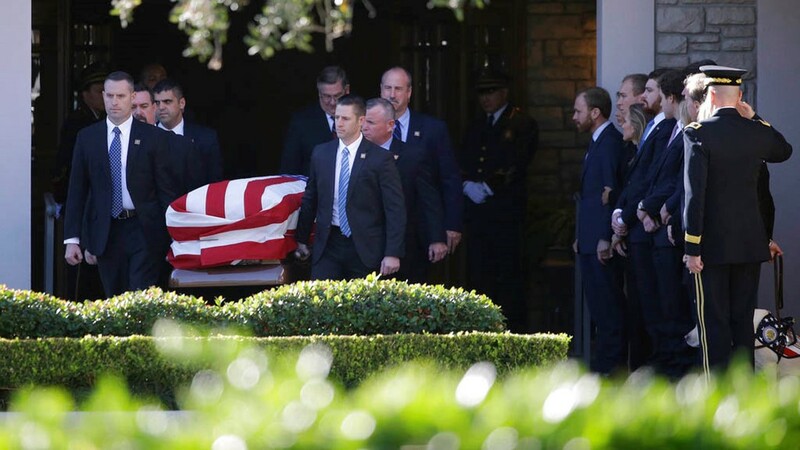 Then he will lie in repose at St. Martin’s Episcopal Church in Houston after being brought back to Houston. 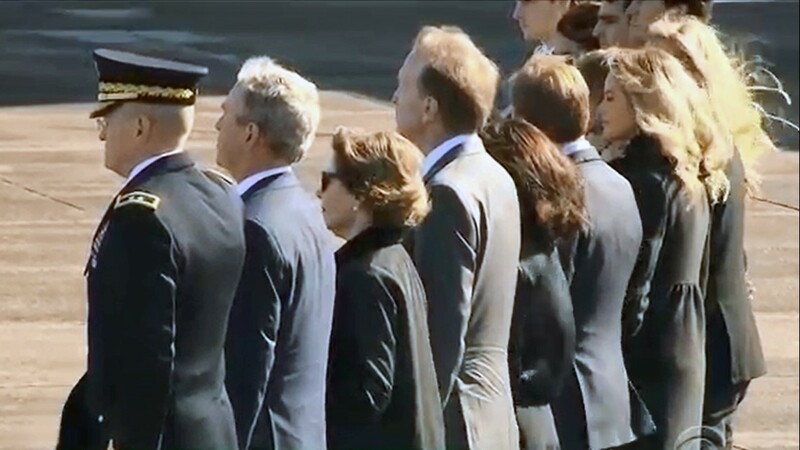 Many of those watching the Bush 41 coverage online are wondering what's the difference among "lying in state," "lying in repose" and "lying in honor." 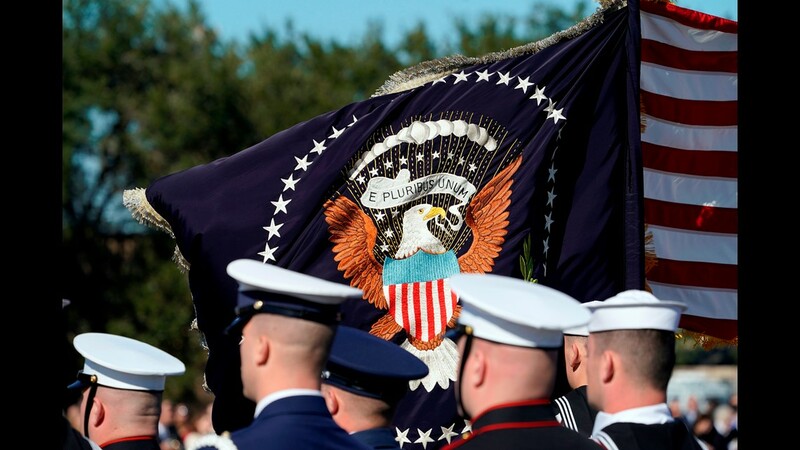 According to the Military District of Washington's website, the difference is based on whatever building the remains are kept in for the public to pay their respects. When a body is lying in state, a member of the government (or former member) is placed on view in a principal government building. 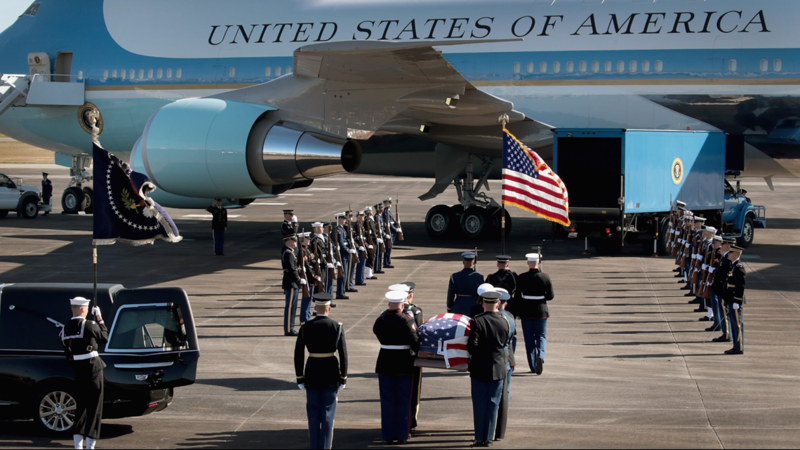 When a body is lying in repose, the member, or former member of government, is placed on view in any other building. 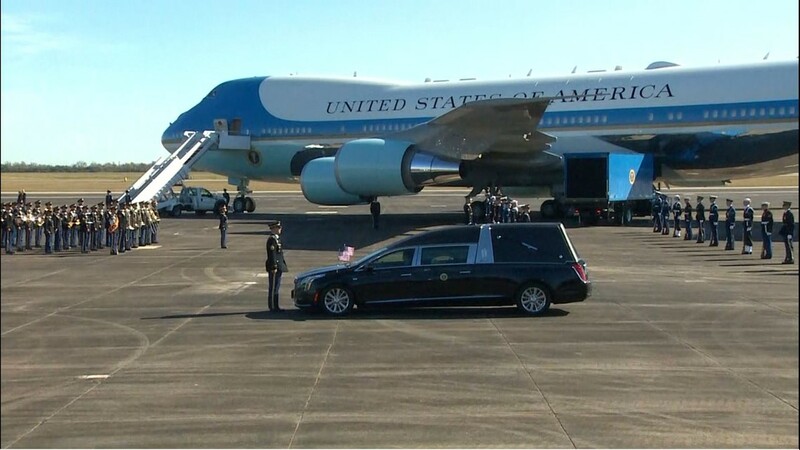 Examples of someone lying in state would include President Gerald Ford or Senator Daniel Inouye lying in state in the U.S. Capitol Rotunda, or Congressman Paul Gillmor lying in state in the Ohio State Capitol. 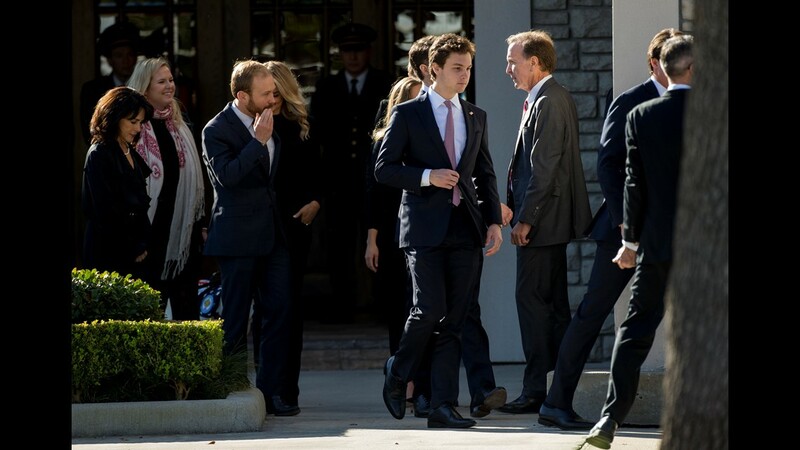 Examples of someone lying in repose would include President Reagan at the Ronald Reagan Presidential Library, Simi Valley, CA in 2004, and President Ford at St. Margaret's Episcopal Church, Palm Desert, CA, in 2006. 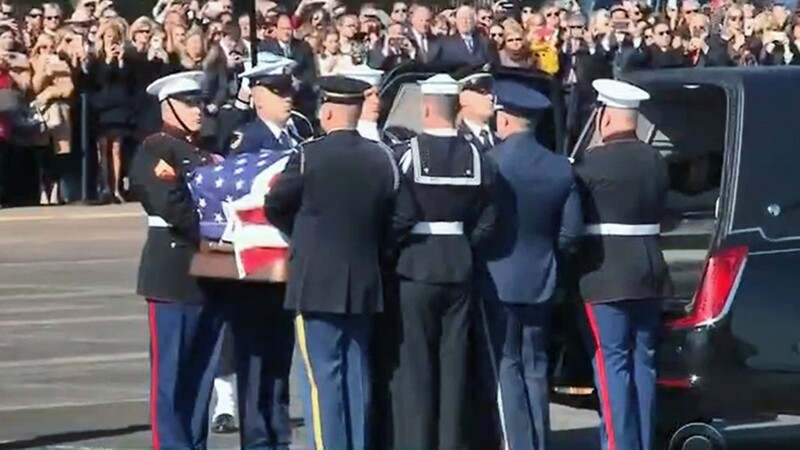 LIVE BLOG: Body of President George H.W. 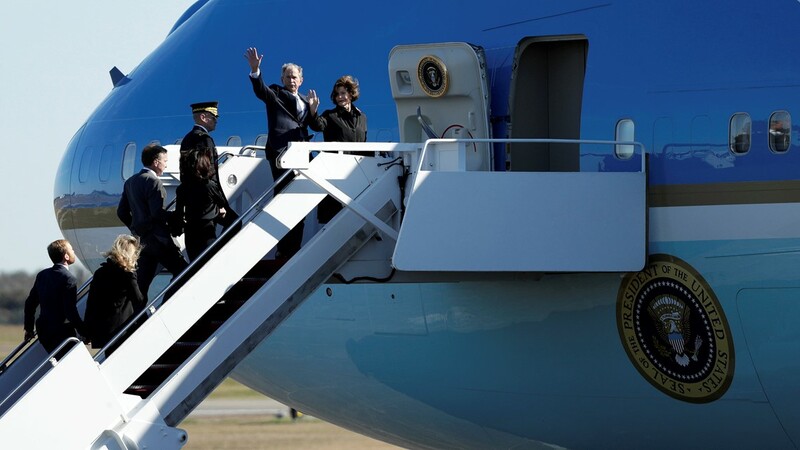 Bush leaves Houston for Washington D.C.
2. 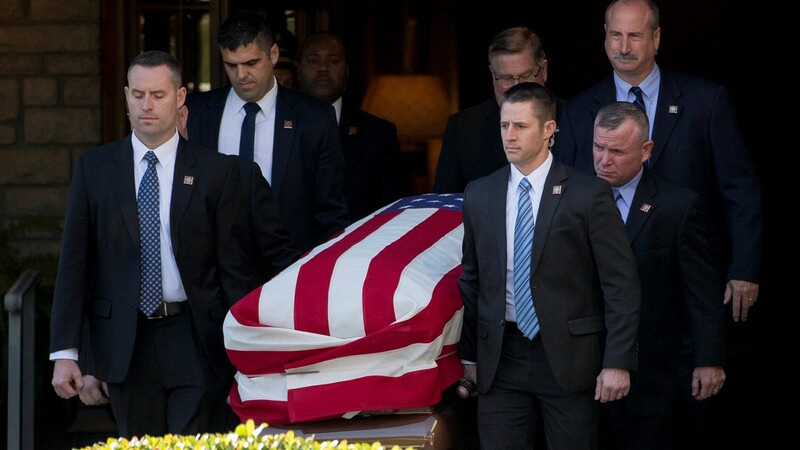 When the casket of a member of government, or former member of government, is placed on view in the U.S. Capitol, but not in the Capitol Rotunda, to allow the public to pay their respects. Examples include Senator Robert Byrd and Senator Frank Lautenberg lying in honor in the Senate Chamber. 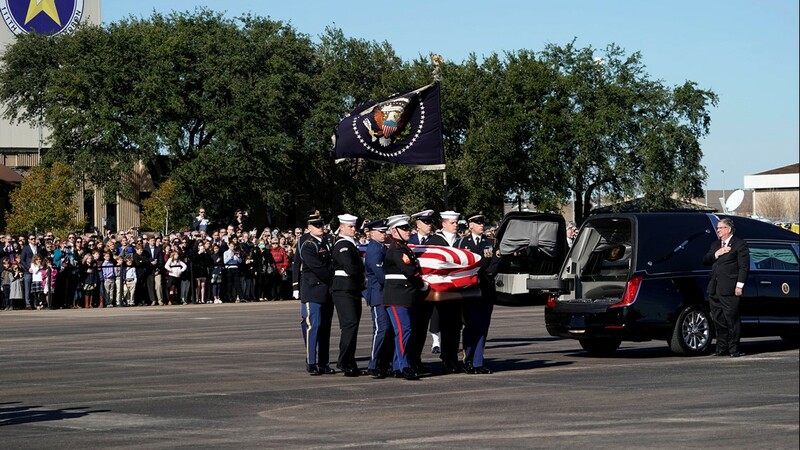 The remains of President George H.W. 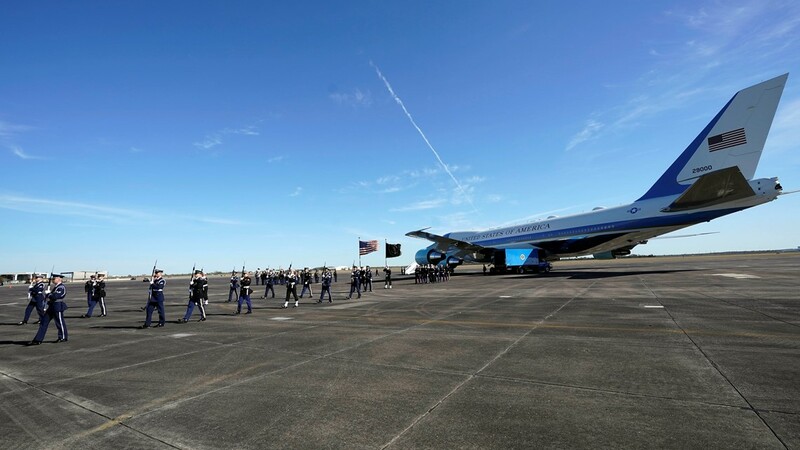 Bush are carried to Special Air Mission 41 by a military honor guard before flying to Washington D. C. on December 3, 2018 in Houston, Texas. 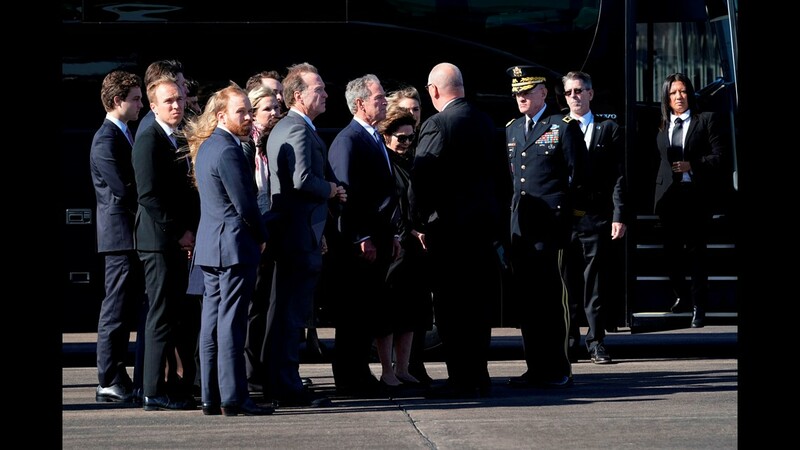 Former President George W. Bush (3rd-back of head) and family members gather before joint services military honor guard carry the flag-draped casket of the remains of President George H.W. 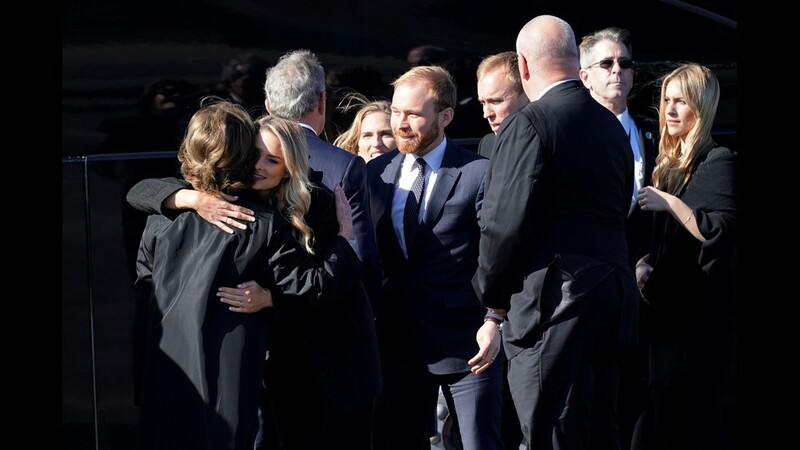 Bush during a ceremony on December 3, 2018 in Houston, Texas. 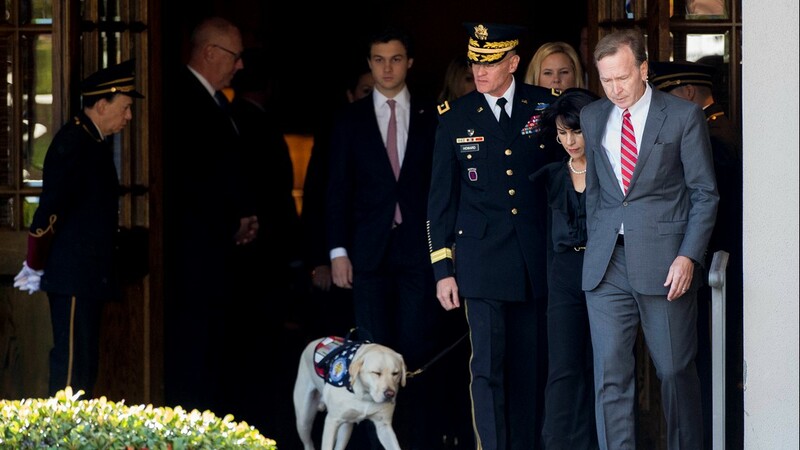 Sully, the yellow Labrador retriever who was former President George H.W. 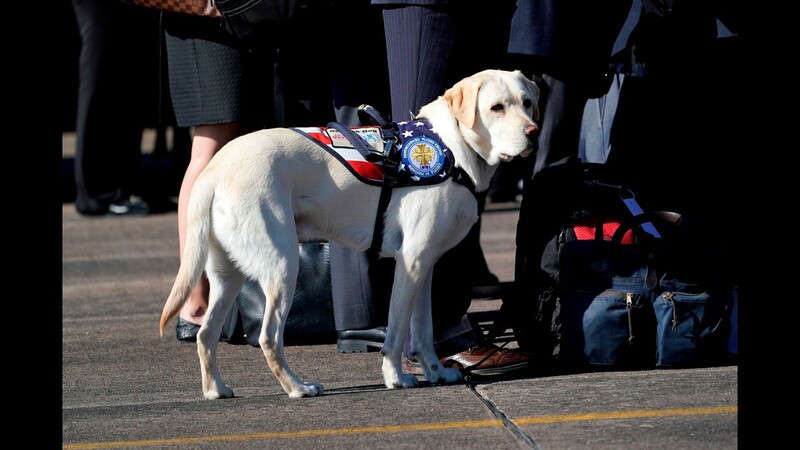 Bush service dog is seen during a departure ceremony at Ellington Field, on December 3, 2018, in Houston. 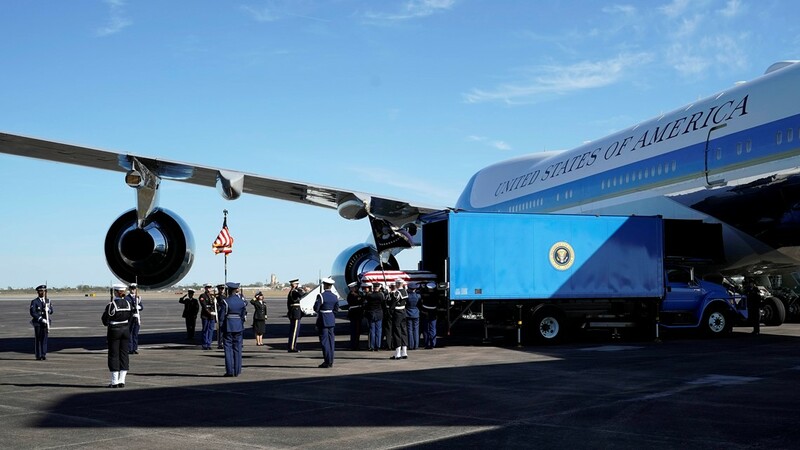 The flag-draped casket of President George H.W. 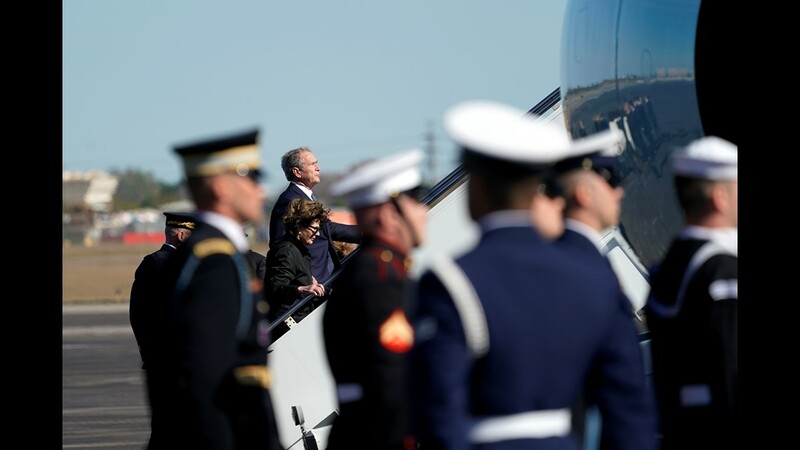 Bush arrives at Ellington Field in Houston Monday for his final journey to our nation's capital. 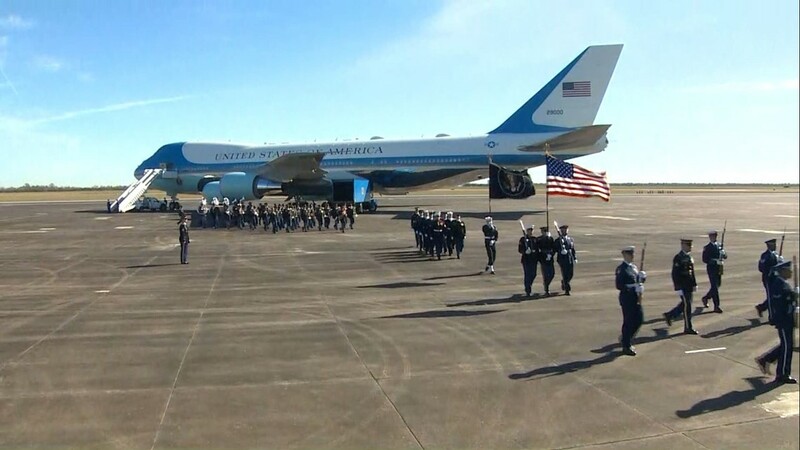 Some 300 dignitaries, family and friends participated in a brief ceremony before the casket carrying President George Bush boarded Air Force One, which was renamed Special Air Mission 41 for Monday's historic flight to Washington D.C.